The Council of the Mineralogical Society agreed its position on Open Access on 7th March 2013. Authors submitting papers for publication in online journals have the option to make their published article fully Open Access (sometimes called ‘Gold Open Access’) on payment of a fee. Open Access articles are published online in the usual way, but are made freely available to any user and have different terms and conditions of use than other articles in the journals. How can I tell if an article is Open Access? Open Access articles have an Open Access logo against the article in the online table of contents. Such articles are subject to the Creative Commons CC-BY license (see below). What can I do with an Open Access article? 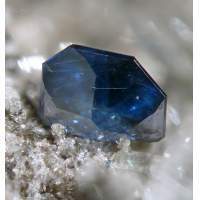 Mineralogical Society Open Access articles are published under the Creative Commons CC-BY License. This license allows others to distribute, remix, tweak, and build upon the work, even commercially, as long as they credit the author for the original creation. This licence allows maximum dissemination and use of licensed materials. The Open Access Article Processing Charge (APC) for all journals and books in either Mineralogical Society journal (Mineralogical Magazine or Clay Minerals) is £1925 (£1288 member price). No other discounts are available. Payment of the APC must be made in advance of publication. Any article that is to be published online in either journal (Mineralogical Magazine or Clay Minerals) will be eligible. How do I select this option? There will be a section in the online submission form allowing authors to choose Open Access. If your article has already been accepted, but not yet published, and you would like to make it Open Access, please contact the production editor (staff member) looking after the journal to discuss this as soon as possible. Will paying for Open Access make any difference to the review process or publication time? The article will go through the usual peer-review and production process in the same way as other articles. No preferential treatment will be offered other than free access and use of the published article. Will the Mineralogical Society Open Access policy comply with funding requirements? As the Society, and its publishing partner, Cambridge University Press, uses the most liberal of the Creative Commons licenses, its Open Access policy should satisfy research-funding bodies (including RCUK) who require research that they fund to be Open Access. More information about RCUK policy can be found on their website: www.rcuk.ac.uk/research/Pages/outputs.aspx. The Society’s understanding is that its Gold Open Access articles will be eligible for inclusion in the 2020 UK REF. If you are required to make your research Open Access, but do not have funds, please click here for details of Cambridge University Press’s Open Access Policies. Can I use material from elsewhere in my Open Access article? Authors should check that any material that they use in their article that was not created by them has full permission to publish under the CC-BY license. Some picture libraries and other copyright holders might have policies against commercial reuse. You cannot use those figures in a Mineralogical Society Open Access article. All material in the article must be compliant with the CC-BY license.